Since 1994, Chris has been active in the Retail Real Estate Industry. Before re-joining Diversified Partners (previously with Diversified Partners from its inception in 1996 to 1999), Chris was a Director of Real Estate with TitleMax where he was responsible for the development and growth of the company’s locations throughout Southern California. 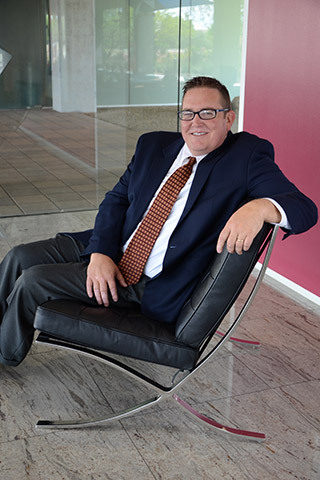 Prior to this position, Chris spent 10 years as a Real Estate Manager for Family Dollar Stores during a time when the company experienced tremendous new store growth (average of 500 new stores per year). Chris opened 100+ stores during his tenure throughout AZ, CA, NV, NM and TX. In addition to being on the Tenant side, Chris has also spent time on the Landlord and Tenant Representation side while he was with Diversified Partners, CBRE, and Retail Brokers, Inc.
Chris possesses a wide range of experience in all aspects of Real Estate Operations and Functions, with the ability to successfully manage a high volume of deals from inception to completion. Chris has the ability to understand the individual needs of each Client, lay out those needs as part of a specific framework, and then perseveres in successfully implementing those plans, be it on a local or regional level. Chis has garnered the loyalty from the Retail Community and his Clients, all of whom have come to rely on Chris’ expertise and ability to get the deal done. Chris is virtually a native of Phoenix and graduated from Arizona State University.